Recently I heard the term, leaving the ladder down, describing how leaders should mentor and bring employees with them as they climb the corporate ladder. There are very few leaders willing to help their people move up the organization. Executives can be more interested in how they can get themselves promoted while caring very little about the success of those down the organizational chart. 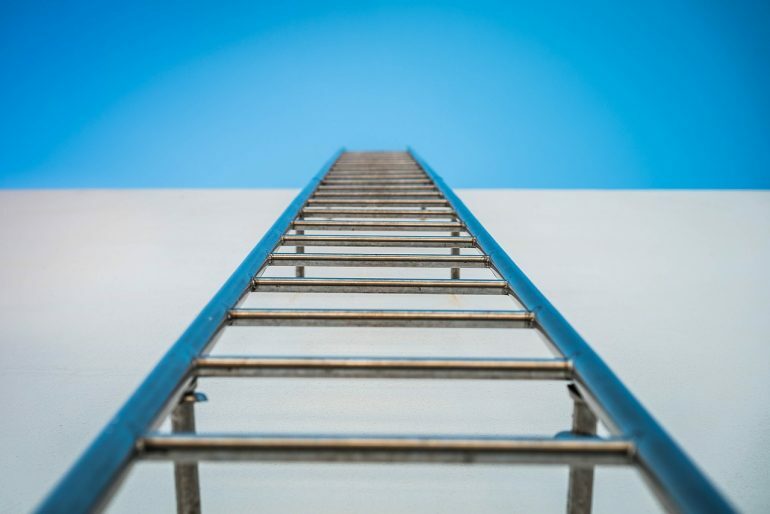 In our society’s ever increasing desire to earn and accumulate more, many business people not only don’t leave the ladder down, they kick employees down the ladder. The thinking is to eliminate potential competition. As a leader, take notice of those around you. If people who worked for you over the years had to resign to find other opportunities, you likely didn’t leave the ladder down. Accept my challenge and bring people with you on your upward journey to success. It doesn’t have to be lonely at the top. Me again. I accidently hit submit before closing. I love your site. Iwas recently bullied & harrassed out of a 17 year teaching job which used to be my life’s passion but I grew to hate due to bully bosses, bully parents & No Child Left Behind. I cried while reading your piece on keeping perspective. I lost my husband 11 years into that job after 8.5 yrs of chemotherapy. I know perspective well. The last 2 years of stress & anxiety & depression were literally killing me. Administrators were spineless bullies who allowed the parents to run the school & they all were, of course, certified & licensed. Too late for me, but hope you make a difference. Remind people that sometimes those withOUT perspective hate those WITH it as it often imbues a kind of calmness & wisdom from the experiences which taught us that perspective. Thanks for letting me speak out (& ramble!). Hi Donna, thank you for your comments. I am very sorry for your loss and do not understand why people allow the “business” to overrule the basics of life, respect and civility. In many ways we are swimming upstream while the cultural current pushes against us. Treating people with dignity and respect is the right thing to do – AND – it is the most advantageous way of life for business owners who also want to achieve financial success. See you around the comment section again.